I’ll be the first to admit that homeschooling can look like just about anything. On one extreme, you have homeschoolers who create an almost schoolhouse-like environment with posters on the wall and actual school desks. 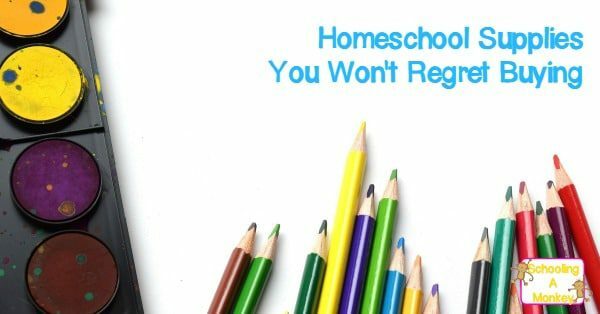 On the other extreme, you have homeschoolers who do everything on the sofa without a single textbook. Our family happens to be somewhere in the middle of those two extremes. 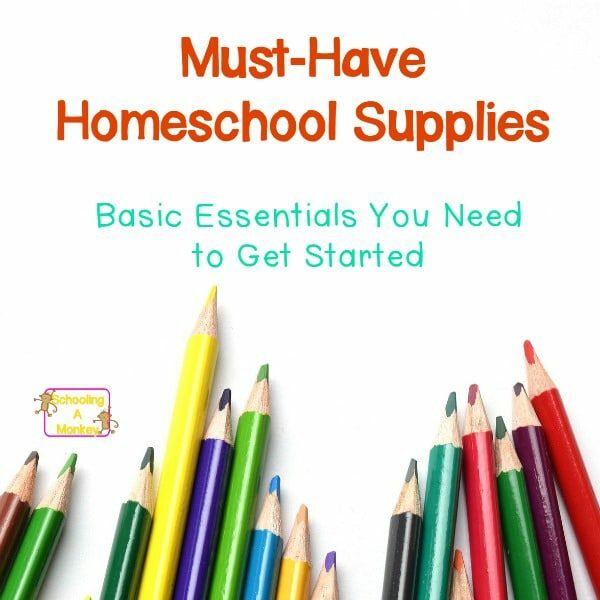 Still, there are some essential homeschooling supplies that most homeschooling families will find helpful. 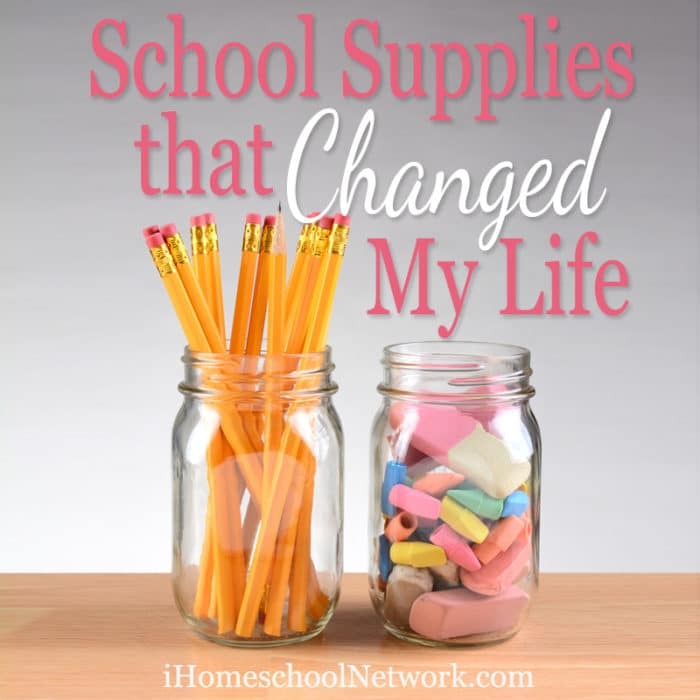 This is my list of must-have homeschool supplies that we use in our house every day. I’m extremely picky when it comes to curriculum that we use. If I can’t find it, I usually make a printable version for my kids (you can find many of the printables I’ve made in the Schooling a Monkey Shop). We use a LOT of printable worksheets and activities. Our printer is probably the most-used homeschooling tool in our house (aside from the Internet). We currently use a Canon printer, and it has lasted us much longer than any other printer I’ve used previously. At Schooling a Monkey, we do a lot of crafts and fun projects. I like to make colorful projects with the kids. It’s a fun way to bring seasonal activities into our homeschool. We love making craft projects, so we always have to have some art supplies on hand. STEM activities are a big focus of our homeschool. Monkey loves science, so we try to do at least one or two STEM activities per week. the STEM supply list is quite long, but I made a printable version that I take with me to the store so I don’t forget what to pick up. Aside from Math, Science, and Language Arts, we just read a lot. We read about history, literature, government, and anything else we’re curious about. Our library card is well used, and we also stock a large supply of books for the kids to read on their own time. I love mechanical pencils. The kids used to always break the leads, until I found these harder-t0-break mechanical pencils, and they are basically our life now. We can learn anything online. We like to use YouTube, Khan Academy, Code Combat, Scratch programming, Steve Spangler Science projects, and Pinterest to find things like homeschool unit studies. I don’t think we’ve ever had a homeschool day where we didn’t look at least one thing up online. 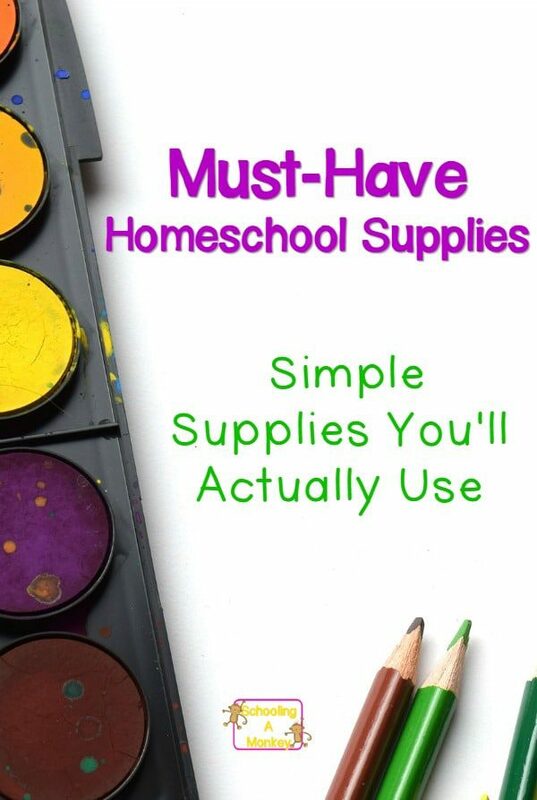 What is on your must-have homeschool supplies list?